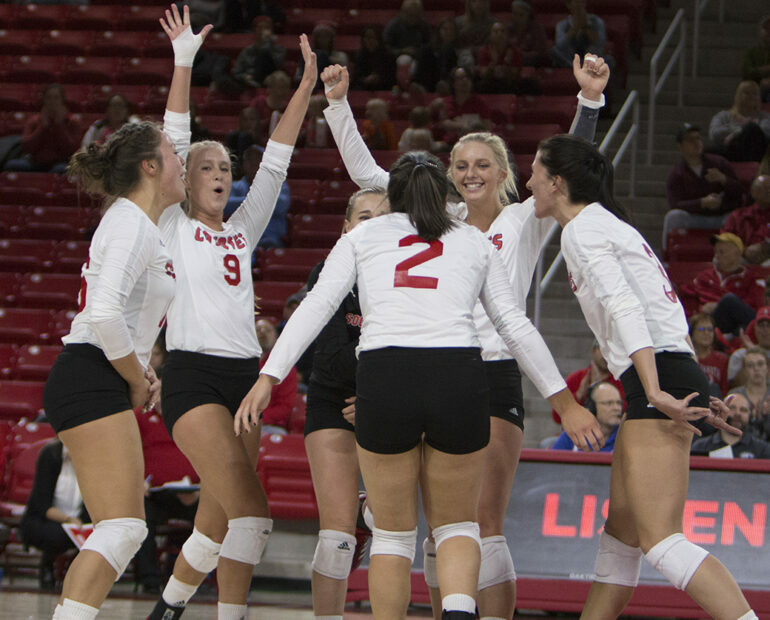 The Coyote women dominated the Fort Wayne Mastodons in three straight sets Friday in the Sanford Coyote Sports Center. Though the Mastodons caught up at times, they ultimately fell in every set against the Coyotes’ defense and offense. USD head coach Leanne Williamson said though the team started out slow, they eventually picked up speed in the next two sets. Junior Hayley Dotseth led the winning effort by the Coyotes with 17 kills, the team’s only ace and 14 digs. Sophomore Mehana Fonseca also had a big contribution to the win by leading the team in digs at 15. Senior Brittany Jessen followed with 14 digs, seven kills and 37 assists. Williamson said the team is pulling through several injuries. The Coyotes remain in Vermillion for their next match to take on the University of Nebraska-Omaha Nov. 3 in the SCSC.